Scholarship winners don’t just apply for a few scholarships, they apply for every single scholarship that they can and learn how to use the information shared on one application for many others. Scholarship essays can be used more than once, paying careful attention to word count and subject matter. Often it only requires a few small writing tweaks to turn one great essay into several, allowing the student to apply for more scholarships with less time spent on writing new essays for each one. Application details are usually very similar, so making copies of all applications and simply transferring the information from one app to another is another way to save time and apply for more scholarships. Reading the fine print in all scholarship guidelines is crucial to correctly applying for scholarships and not wasting time applying for those in which a student does not qualify. For example, if the scholarship guidelines require applicants to have a 3.5 G.P.A. and above, a student with a 3.4 G.P.A. should not bother applying. Scholarship judges first look for easy reasons to eliminate applicants and then take more time to narrow down the possible winners. Incomplete applications (not including all required materials) and ignoring clearly stated applicant guidelines are the easiest ways to have applications tossed into the losers pile. Students who meticulously follow all guidelines will have a much better chance of winning the scholarship money, even before the judges begin to read their essays. 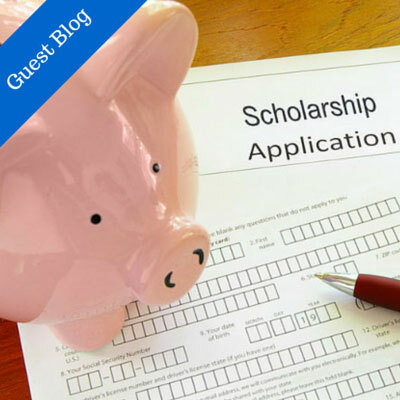 Scholarships should never be ignored or skipped because of the essay requirement. The essay is the student’s chance to show the judges, in great personal detail, exactly why they believe they deserve the scholarship money. Many students avoid applying for scholarships with an essay, so these scholarships tend to have less competition, meaning a greater chance of winning for the savvy student who takes the time to write a compelling essay. Because the competition is so great for most scholarships, students need to find ways to make their applications stand out and get noticed by the judges. Little details like paper weight, envelope size, clear and proper font type, activity or scholarship resumes, quality letters of recommendation, and overall presentation of the scholarship application packet can make a huge difference in how a judge rates the applicant. Simply filling out a scholarship application and casually mailing it to the required address may look like a student has done their best, but learning how to polish and perfect the application is crucial to winning college scholarships. Online only applications can also be submitted with extra details that most students don’t bother including, but make a huge difference in the eyes of the judges. Finding the time and motivation to work on college scholarship applications is a large stumbling block for many students. One great way to overcome this is to encourage students to begin applying for scholarships well before their peers. Most students do not even begin thinking about winning scholarships until they have applied to college and start to see the huge cost associated with higher education. This is often the spring of their senior year of high school and by that time, a huge number of scholarship application deadlines have already come and gone. The student that starts early, in middle school or as a high school freshman, will have an advantage because they will be familiar with the college scholarship process and as a result, will be comfortable with applying for more scholarships than their fellow students. Parents can play a huge role in the college scholarship process with their students, as I share in my ebook, “How to Win College Scholarships: A Guide for Parents in 10 Easy Steps”. In the guide, I share how I helped my own son win over $100,000 in scholarships and graduate from college debt-free. If you are looking for detailed and specific ways to help your student create unique scholarship applications packets that will immediately catch the eyes of the judges, you need a copy of my scholarship guide. You can find out more at my website, http://how2winscholarships.com. Monica Matthews is the author of “How to Win College Scholarships.” She helped her own son win over $100,000 in college scholarships and now shares her expertise with other parents and their students. She truly has “been there, done that" in regards to helping parents and students navigate the scholarship process. Her method of helping students in finding college scholarships, writing unique and compelling scholarship essays, creating amazing scholarship application packets and more, have taught desperate parents to help their own students win thousands of scholarship dollars. Her scholarship tips have been featured on several websites and she has been dubbed the "Go To" expert on college scholarships. You can find her scholarship guide and tips at http://how2winscholarships.com. 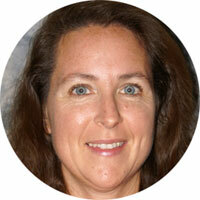 Monica Matthews can also be found on Twitter, LinkedIn, Facebook, Pinterest, SmartCollegeVisit, and Examiner.com.